Anon. sale; Christie's, London, 2 December 1911, lot 32 (70 gns. to Gooden and Fox). 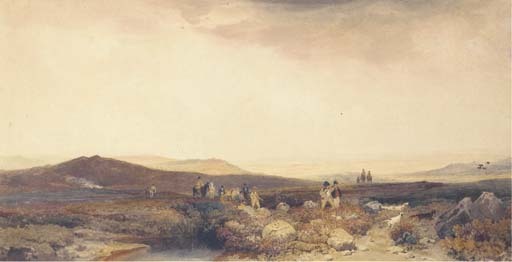 De Wint executed a number of sporting subjects in watercolour on this scale. Grouse Shooting, exhibited with Leggatt Brothers, 1961, no. 88 is now in the collection of Lord Inchcape (according to the Witt Library records). It was later advertised in Country Life, 6 October 1966 with its pair Partridge Shooting by Agnew's, London. It has been suggested that the view may be on the North Yorkshire Moors.